Picture 057, a photo by arts.commission on Flickr. 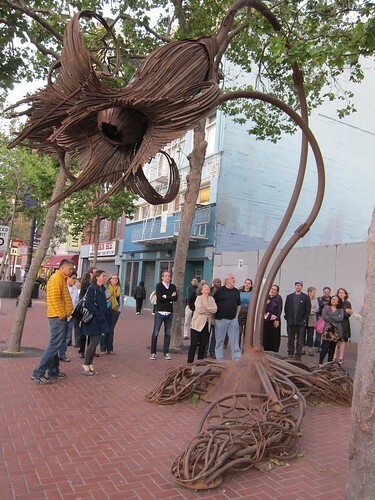 A crowd gathers around Karen Cusolito’s Valiant Flower on Market Street. It is part of Market Street Blooms. The Black Rock Arts Foundation collaborated with the San Francisco Arts Commission. Kind of looks like a tour group. What do you think?